Who said poetry is just for love? Poetry is an art that encompasses all known topics and ideas, conveying forth feelings that capture even the hardest of hearts. 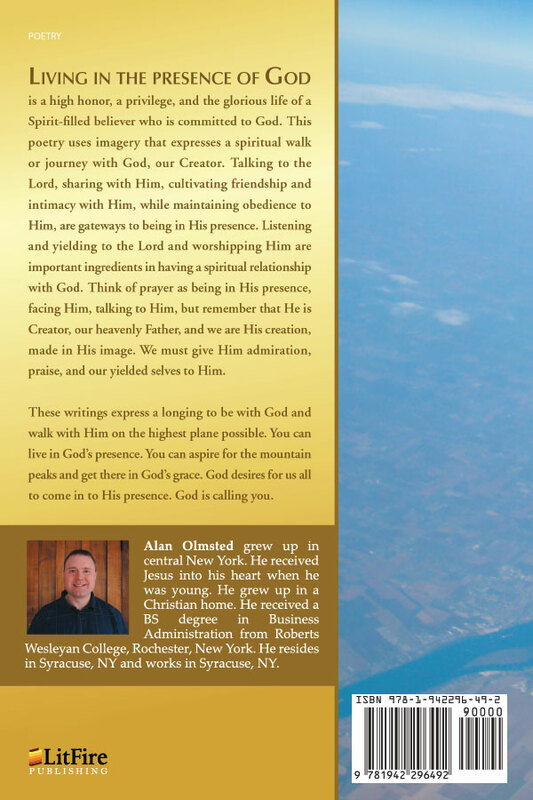 In this beautiful and spiritual book written by Alan Olmsted, he shares a collection of poems that uses imagery to express a spiritual walk with God, bringing forth a spirituality that has remained dormant within the best of us. 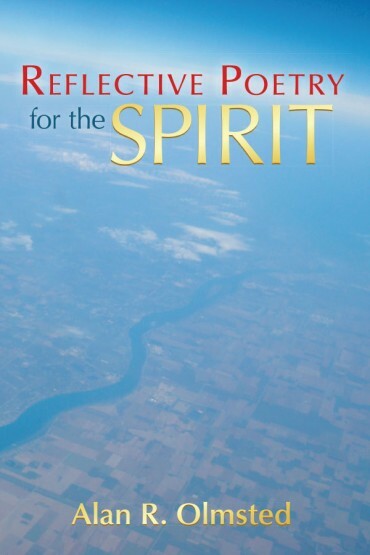 This is your ticket to praise the Creator in an incredibly artistic way, bringing you closer to God, and enhancing your interior life, as you read through marvelous works of poetry, sure to captivate any broken soul. Living in the presence of God is a high honor, a privilege, and the glorious life of a Spirit-filled believer who is committed to God. 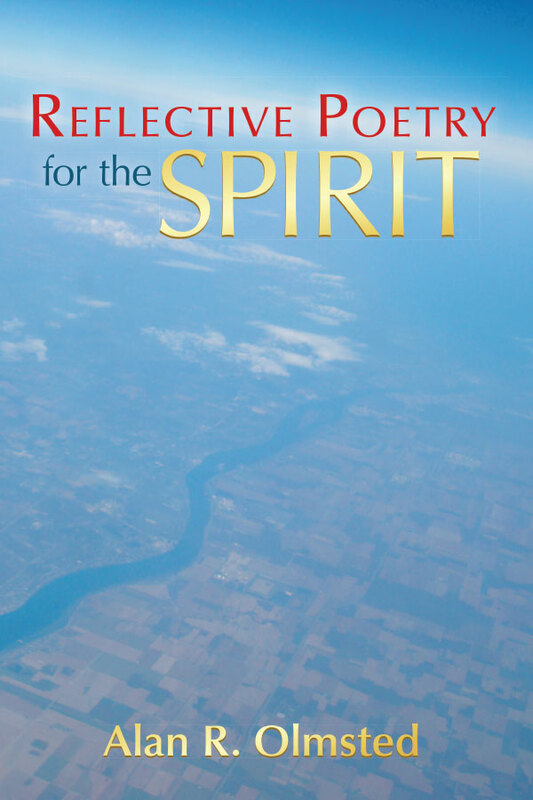 This poetry uses imagery that expresses a spiritual walk or journey with God, our Creator. Talking to the Lord, sharing with Him, cultivating friendship and intimacy with Him, while maintaining obedience to Him, are gateways to being in His presence. Listening and yielding to the Lord and worshipping Him are important ingredients in having a spiritual relationship with God. Think of prayer as being in His presence, facing Him, talking to Him, but remember that He is Creator, our heavenly Father, and we are His creation, made in His image. We must give Him admiration, praise, and our yielded selves to Him. “It has been a wonderful pleasure for me to read this manuscript, it is beautifully written. Your love and faith for God is truly uplifting to read. The title you have chosen is perfect for your work; I totally believe this manuscript would make an outstanding chapbook.